What is HD DVD technology? What is Blu-ray technology? How are they different from each other? Let us find out. HD DVD and Blu-ray are competing disc technologies. They are high-definition optical disc formats, which are incompatible with each other. They were developed with an intent to replace the existing DVD format that is widely used by computer users across the globe. Will the technologies replace DVD? Which technology will dominate the computer market in the coming years? Let time decide that, while we turn to understanding the differences between the HD DVD and Blu-ray. It is an optical disc format of the forthcoming generations. The Blu-ray Disc Association (BDA), a group of prominent consumer electronics and personal computer manufacturers, develops this disc format. Blu-ray discs are optical disc storage media that can be used for the storage of high-definition video and data. A blue or violet-colored laser beam of a short wavelength is used to read and write in this disc. Owing to the short wavelength of the laser beam, more data can be stored on a relatively lesser space. In spite of the physical dimensions being similar to a DVD, a Blu-ray disc can store a greater amount of data. A single-layer Blu-ray disc stores as much as 25 GB data while a dual-layer disc can store up to 50 GB data. It is short for High-Definition/Density Digital Versatile Disc. It is an optical disc format used for storing high-definition video. Toshiba, a multinational manufacturing company, leading in the field of infrastructure, consumer products, and electronic devices, developed HD DVD. However, lately, Toshiba has declared that it has stopped developing HD DVD drives or players. Like Blu-ray discs, HD DVDs are available in readable as well as rewritable formats. Both HD DVD and Blu-ray discs were designed to compete with the existing DVD format. They offer greater storage capacities and the encoding methods they use, endow them with a higher quality of audio and video playback. The two formats differ in some ways. Firstly, a single-layer HD DVD can store 15 GB data while a single-layer Blu-ray disc is capable of storing 25 GB data. Secondly, the maximum bit rate for raw data transfer offered by HD DVDs is 36.5 Mbit/s while that offered by Blu-ray discs is as high as 53.9 Mbit/s. 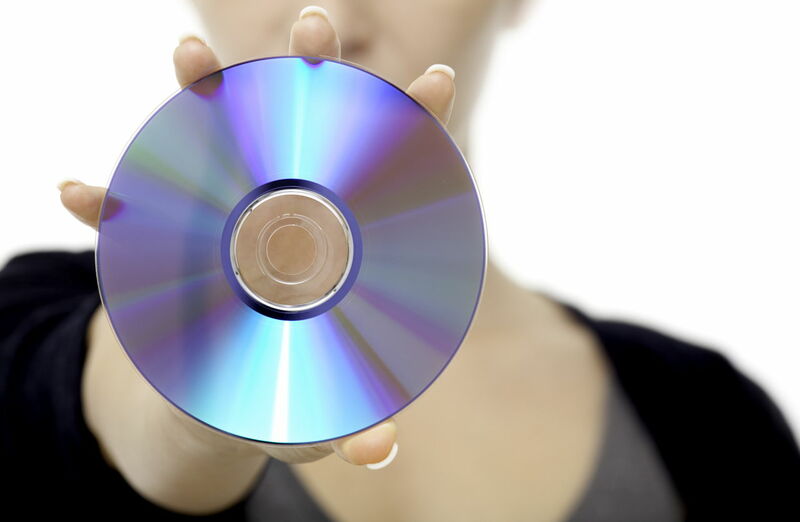 The wavelength of the laser used to write on both HD DVDs and Blu-ray discs is 405 nanometers. The numerical aperture of the lens that is used to focus the laser beam on the disk is different. For HD DVDs, it is 0.65 nanometers while it is 0.85 nanometers for Blu-ray discs. Frame rates refer to the frequencies at which the storage devices produce consecutive images. The frame rate offered by HD DVDs is 25-30 frames per second while that offered by Blu-ray discs is 24 frames per second. Hard-coating is mandatory for Blu-ray discs while this is not the case with HD DVDs. Blu-ray discs employ three region codes while HD DVDs are region-free. So, which of the two technologies is better - HD DVD or Blu-ray? That's for you to decide.